High society wedding planner Lauren Remington is determined to prove her family wrong and make a success of her business, but a last minute disaster brings a glorious end to all her grand plans. Desperate for help, her only hope is Max Wilde, a man whose rugged, leather-clad body is almost as dangerous as his sleek black Harley. Max may be everything Lauren’s mother warned her about, but desperate times call for desperate measures… providing she can convince him to help her out. Max isn’t sure why he agreed to help save Lauren’s shapely derriere, especially when one tilt of her blue-blooded nose is enough to get his back up. There’s just something about the way Lauren’s curvy body snuggles up against his that feels right, and he’d kill to see her out of her Chanel suit and into tight red leather. Not only that, but he can’t help but admire the way she doesn’t shy away from his foster kids and their rough-and-tumble friends. Still, Max knows that his wrong-side-of-the-tracks background could never fit in Lauren’s high society world… but somewhere deep behind the lady lies a woman born to be wild. 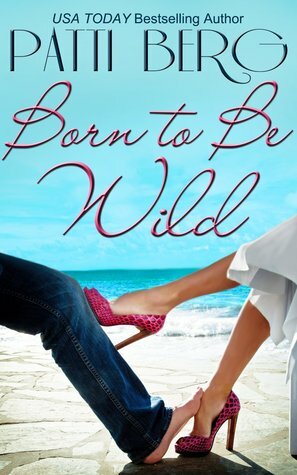 Born to Be Wild by Patti Berg is the second book of the contemporary romance Remington Family series. Each book of this series features a new main couple so they can be read and understood fine as a standalone if choosing to do so. After a few failed relationships Lauren Remington had given up on finding a love of her own and decided to get into the business of wedding planning. However, when she is short a caterer for a high society wedding happening in a few days she thinks her career may be cut short. Max Wilde is definitely not a part of the high society crowd but years ago his path had crossed with Lauren’s and he had thought they had a connection. Lauren however had proceeded to marry someone else and forget all about Max, that is until their paths crossed yet again when she finds Max is the only caterer available for the wedding she is planning. Born to Be Wild was a bit of a second chance romance with characters that are definitely from different sides of the tracks as they say. Lauren to me could be a little overly annoying with her snobbishness that she didn’t even believe she had but on the other hand it was nice to show a man that was a lot more than just a biker that he showed on the outside. With a great male lead and some funnier moments this one turned into a decent read in the end. 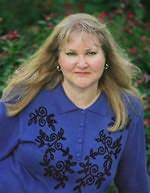 Always a romatic, Patti Berg spent her childhood dreaming about being whisked away by a knight in shining armor, a devil-may-care swashbuckler, a sheik on a shiny black stallion, or a broad-shouldered cowboy with a Stetson tilted low on his brow. Now she spends her days making up stories in which her heroes do whatever she wants them to. It’s almost as good as a dream coming true, she confesses. Currently working on her next book for Avon Books, Patti hopes she’ll have a long career sharing her dreams and fantasies with others.